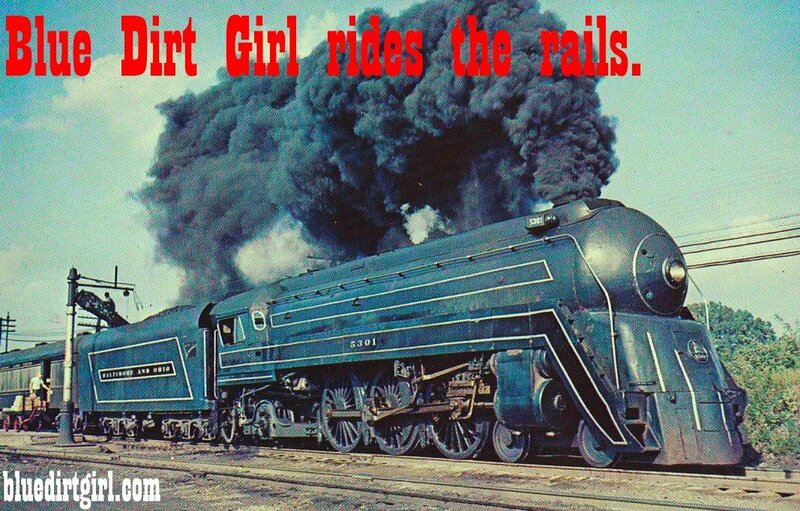 Blue Dirt Girl rides the rails! Blue Dirt Girl duo, myself/Kathryn on vocals and acoustic guitar and Albert Klassen on mandolin and vocals, have been accepted on the Via Rail Artists on Board program. We will ride the rails in April from Vancouver to Toronto and back. Albert and I set out on the Via Rail train from Vancouver to Toronto in early April. We will be playing 3 shows a day on the train and one show, whenever possible, on the station platforms. We are doing an extended station stop in Toronto and playing a House Concert in St Catherine’s and ashow/House Concert in Toronto TBA soon. We are back on the train later April to play and ride the rails back to Vancouver. Click here for our video for Via Rail Application. If you want to support our Via Rail Tour contact local radio stations, let them know blue dirt girl is on the train across Canada, and have them play our music and contact me for an interview on a station stop. and get details on our February, March and April shows in East Vancouver.